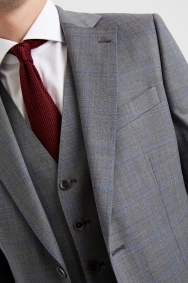 Typically big and bold, windowpane check is named for its large, window-like squares. 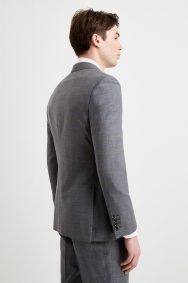 Here, Moss 1851 makes subtler use of the pattern to give this grey jacket a colourful, refined edge. 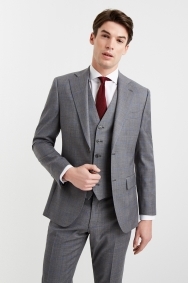 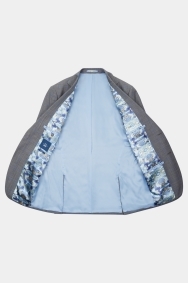 The tailored fit of this jacket offers ample room through the shoulders and chest before nipping in at the waist to create a frame-defining outline. 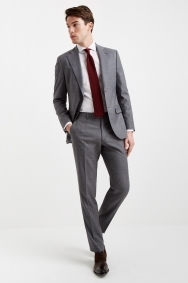 Comfortable and easy to wear, the wool-blend fabric is made with 2% elastane to provide a little added stretch and ensure easy movement. 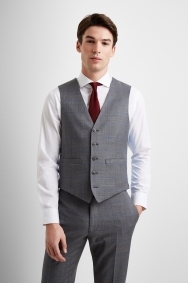 A white shirt will help highlight the jacket’s design, while a wine-coloured tie will add extra contrast. 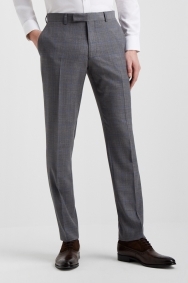 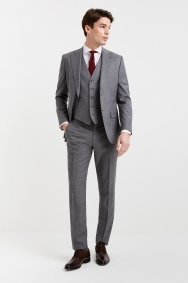 See above - lovely suit, recommended as looking nicer on me by staff when tried on after dark grey suit.